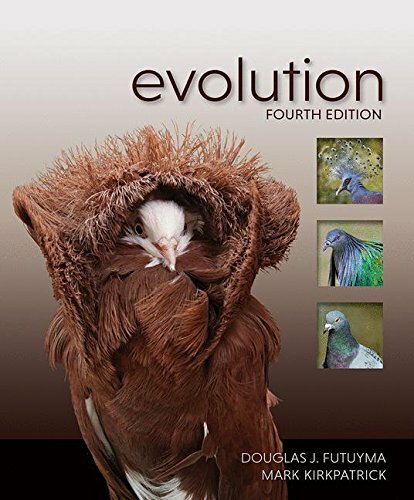 1605356050 -Extensively rewritten and reorganized, this new edition of Evolution–featuring a new coauthor: Mark Kirkpatrick (The University of Texas at Austin)–offers additional expertise in evolutionary genetics and genomics, the fastest-developing area of evolutionary biology. Directed toward an undergraduate audience, the text emphasizes the interplay between theory and empirical tests of hypotheses, thus acquainting students with the process of science. It addresses major themes–including the history of evolution, evolutionary processes, adaptation, and evolution as an explanatory framework–at levels of biological organization ranging from genomes to ecological communities. * Chapter Outlines and Summaries: Concise overviews of the important topics covered in each chapter. * Data Analysis Exercises: Expanded for the third edition, these inquiry-based exercises involve students in working with data and analyzing methods and conclusions from published papers. * Simulation Exercises: Interactive modules that allow students to explore many of the dynamic processes of evolution, and answer questions based on the results they observe. * Online Quizzes: Quizzes that cover all the major concepts introduced in each chapter. These quizzes are assignable by the instructor. * Flashcards & Key Terms: Easy-to-use activities that help students learn all the key terminology introduced in each chapter. * Textbook Figures and Tables: All the figures (including photographs) and tables from the textbook are provided as JPEGs (both high- and low-resolution), reformatted and relabeled for optimal readability when projected. * PowerPoint Presentations: For each chapter, all of the chapter’s figures and tables are provided in a ready-to-use PowerPoint presentation, making it easy to quickly insert figures into your own lecture presentations.